We're just a couple of hours away from the full debut. 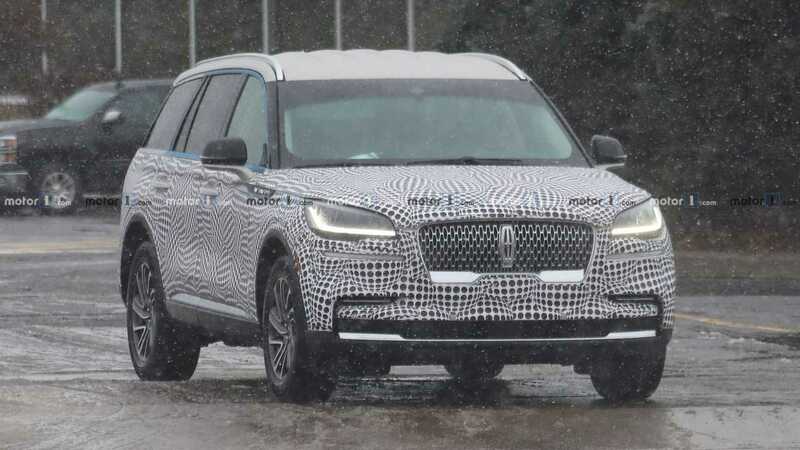 The cat is pretty much out of the bag when it comes to the all-new Lincoln Aviator, as spy photos from just a couple of hours ago revealed the luxury SUV with almost no camouflage. We are also literally a few hours away from the vehicle’s official debut in Los Angeles, and Lincoln has decided to drop one final teaser before the grand premiere. It’s definitely not the most intriguing teaser we’ve seen, but who needs fancy art installations or enigmatic hints? In this short video, we catch a glimpse of the new Aviator, see it in motion, and take a good look at its LED light signature, both at the back and up front. The spy photos from yesterday confirmed the production Aviator will remain very close to the namesake concept when it comes to exterior design. The study’s profile is mixed with design details that are now common for the Lincoln lineup, such as the shape and size of the radiator grille, and headlights. As far as the interior is concerned, we aren’t quite sure what to expect. If the Aviator concept is anything to go by, passengers should enjoy a warm, inviting, and comfortable cabin with large floating touchscreen dominating the center console. There should be three rows of seats with the front two rows benefitting from highly adjustable, heated, cooled, and massaging buckets. Based on Lincoln’s D6 platform, the Aviator should probably get Ford’s 3.5-liter EcoBoost as a core engine. We’ve also seen plug-in hybrid prototypes out testing, so an electrified powertrain should also be in the cards. A boosted four-cylinder variant? Sure, most likely. Stay tuned as the Aviator will be revealed in full tomorrow when the 2018 Los Angeles Auto Show kicks off.